An E.U. envoy was allowed to meet the ousted President Mohammed Morsi Monday, the first time anyone other than certain Egyptian officials has been able to see him since he was deposed and imprisoned over a month ago. The E.U. 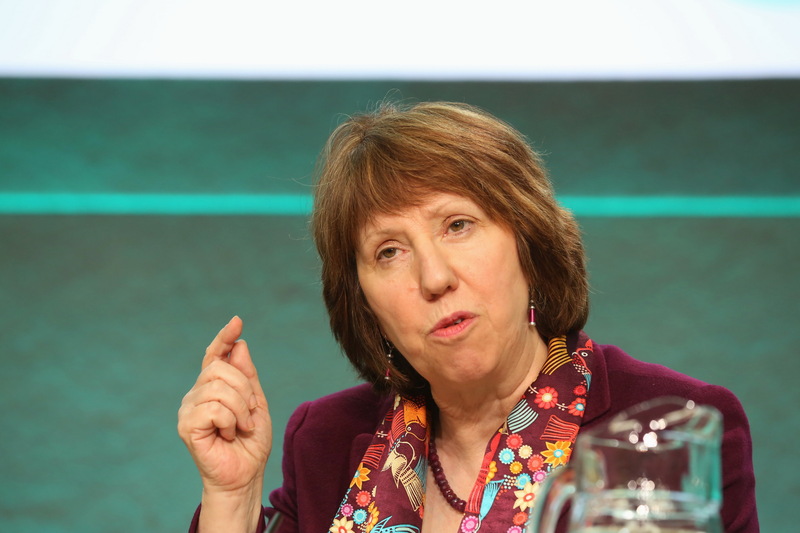 Foreign Policy Chief, Catherine Ashton, met with the ex-leader for two hours Monday, where she had "in-depth" discussions with Egypt's ousted President, after which she stated he was doing alright. "I've tried to make sure that his family knows he is well," Ashton said. Ashton also told reporters on Tuesday that Morsi "has access to information, in terms of TV and newspapers, so we were able to talk about the situation, and we were able to talk about the need to move forward." Because the envoy was flown to the meeting in a military helicopter, she claims she did not know where she was, and so does not know where the deposed leader is being held. The E.U. envoy made seeing the ex-leader a condition on her offer to visit Egypt, her second trip to the country in 12 days. "I said I wouldn't come unless I could see him," Ashton told reporters. She also met with the army general and called for an end to the recent outbreak of violence. "What we said to everyone is you need to find a calm resolution to the situation on the ground. We've been talking to everyone about the squares and what's happening there. We've made it clear that there is no place for violence in this," she said. But tensions are high, particularly following Saturday's protests, during which at least 80 Muslim Brotherhood supporters were shot dead by the military. The ousted leader's supporters remain steadfast, however, planning more major demonstrations in the capital for Tuesday.